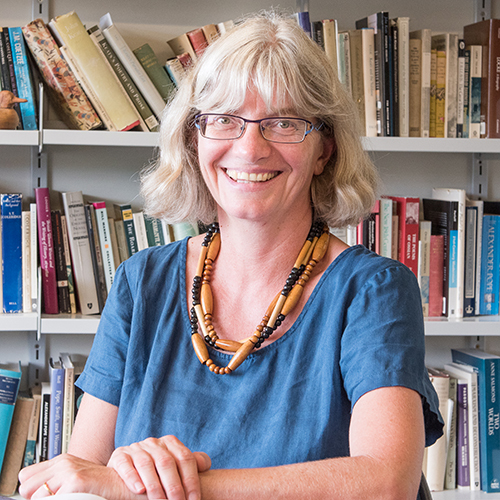 Heidi Thomson works primarily on topics in British Romanticism and has published widely on the life and works of Thomas Gray, Maria Edgeworth, William Wordsworth, Samuel Taylor Coleridge, and John Keats. Her book Coleridge and the Romantic Newspaper: The Morning Post and the Road to Dejection appeared in 2016. She is the editor of Maria Edgeworth’s The Absentee, co-editor of Volume 5 of the Pickering and Chatto edition of Maria Edgeworth, a contributor to The Cambridge History of English Poetry, Keats in Context, and The Thomas Gray Archive. A native speaker of Dutch and fluent in French, she is also interested in multilingual and multicultural dimensions of Romanticism and poetry. She welcomes supervisions on topics and texts from the Age of Sensibility and Romanticism. British Literature and Culture, 1740-1850. Authorship, print, and its contexts. Authors: Thomas Gray, Maria Edgeworth, Jane Austen, John Keats, S. T. Coleridge, William Wordsworth. Fanny Brawne and Other Women. John Keats in Context. Ed. Michael O’Neill. Cambridge: Cambridge University Press, 2017. Pp 38-46. Coleridge’s Ad Vilmum Axiologum and Schiller’s Musen-Almanach für das Jahr 1797. Notes and Queries Vol 63, No 2, June 2016, pp 228-230. The Importance of Other People and the Transmission of Affect in Wordsworth’s Poetry. Modern Language Review Vol 110, No 4, October 2015, pp 969-991. A Perfect Storm: The Nature of Consciousness on Wordsworth’s Salisbury Plain. English Studies Vol 96, No 5, July 2015, pp 525-540. Wordsworth’s ‘Song for the Wandering Jew’ as a Poem for Coleridge. Romanticism Vol 21, No 1, April 2015, pp 37-47. ‘Beyond her own knowledge’ in Jane Austen’s Pride and Prejudice. Notes and Queries Vol 62, No 3, September 2015, p 401. Coleridge’s ‘On a Supposed Son’ and Friedrich von Logau’s ‘Auf ein Zweifelkind’. Notes and Queries Vol 61, No 1, March 2014, pp 58-61. The Integral Significance of the 1816 Preface to Kubla Khan. Coleridge, Romanticism, and the Orient: Cultural Negotiations. Eds. Kaz Oishi, Seamus Perry, David Vallins. London and New York: Continuum, 2013. Pp 165-176.